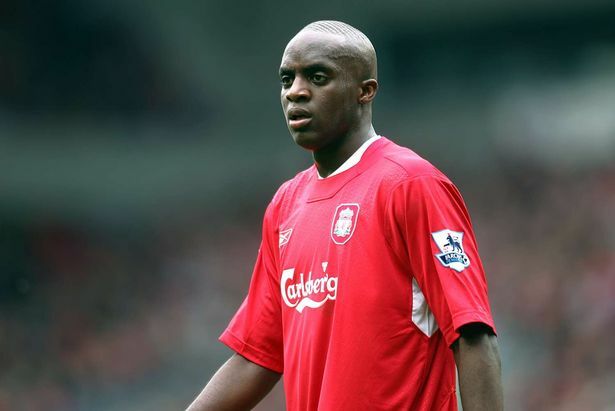 Momo Sissoko could have been as good as Patrick Vieira if an eye injury hadn’t hampered his development. That, we have few doubts about. He was a monstrously powerful and imposing central midfield specimen when given the chance. In his early 20s, Sissoko backed up our world-class midfield triumvirate of Javier Mascherano, Xabi Alonso and Steven Gerrard. It led to the ‘best midfield in the world’ chant that regularly echoed round Anfield during Rafa Benitez’s reign. Upon Alonso’s retirement, eight years after he left Liverpool, Sissoko paid tribute to his former team-mate on Twitter by reciting the lyrics to that brilliant song! While Alonso went on to play for Real Madrid and Bayern Munich after leaving Liverpool, Sissoko enjoyed spells at Juventus and PSG before embarking on a journeyman career – signing for Fiorentina, Levante, Shangai Shenhua and Serie B side Ternana, for whom he turns out now.